Golf has a broad appeal throughout a company. It is undoubtedly the sport most commonly played in an organization. 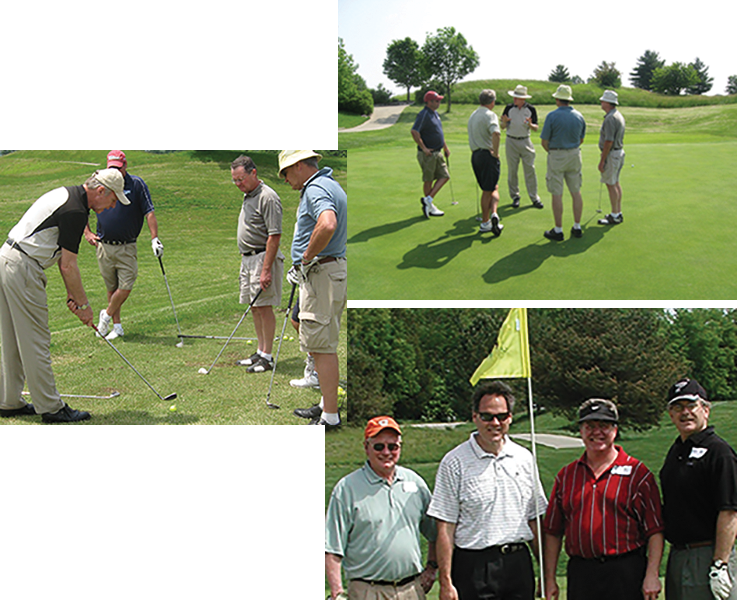 A corporate golf outing is an excellent venue for team building and customer relations development. Here you can review the company golf events we offer. Heartland offers a variety of business golf outings that are excellent for client relationships, company team building, and customer appreciation. Our facility is minutes from downtown St. Louis. 1 – Day "Class and Course"
2 – Hour "Golf Seminar"
The day begins with breakfast. Your guests are welcomed by the aroma of bacon, biscuits, and coffee. Our menu is built to your liking. The delicious breakfast provides the backdrop for a company presentation to kickoff the day. Following breakfast, your attendees are then engaged in our golf development programs which accommodate players of all skill levels. This 3-day school is excellent for client relationships, company team building, and customer appreciation. Our facility is minutes from downtown St. Louis. Our day is from 8am to 3pm with a noon break for lunch, voice mail, and email. Their time at Heartland will be enjoyable for individuals of all skill levels. 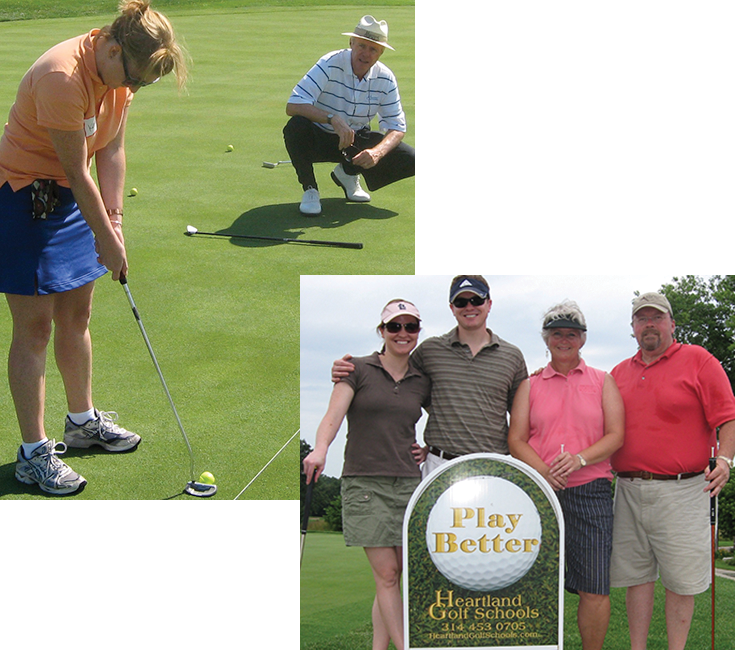 Choose Heartland for customer golf outings. The day begins with breakfast. Your guests are welcomed by the aroma of bacon, biscuits, and coffee. Our menu is built to your liking. The delicious breakfast provides the backdrop for a company presentation to kickoff the day. 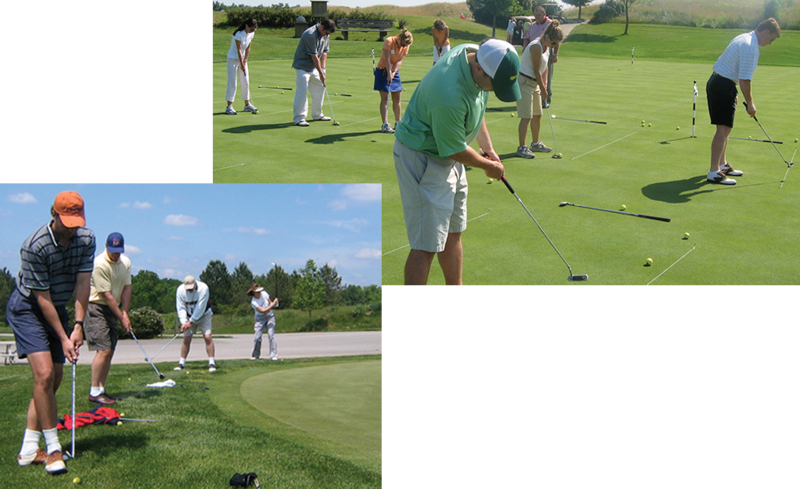 Following breakfast, your attendees are then engaged in our golf development programs. These corporate events are very effective for building client relationships, company team building, and customer appreciation events. They are geared to accommodate both golfers and non-golfers. Their time at Heartland will be enjoyable for individuals of all skill levels. Choose Heartland for business golf events. 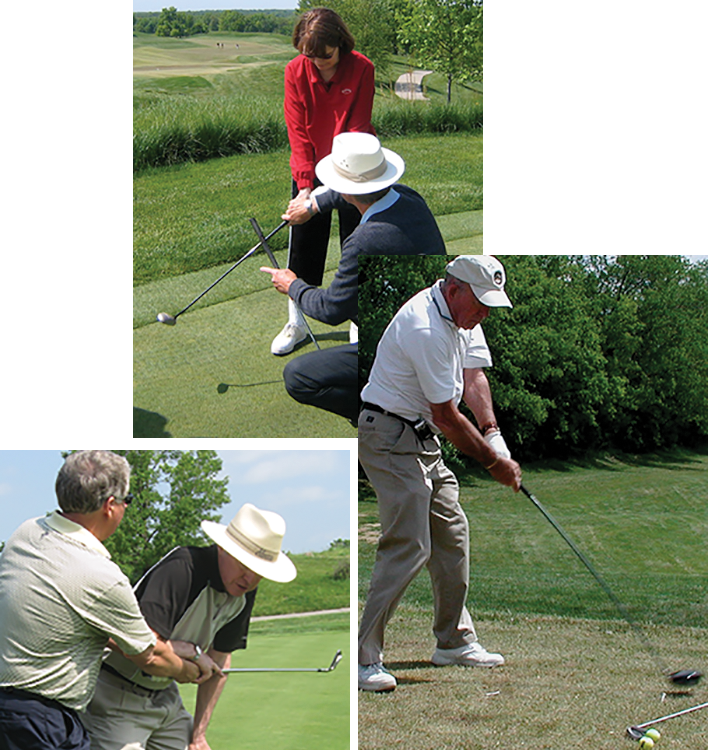 2 – Hour Golf Seminar/Instruction (any indoor location or on-course) These corporate events are very effective for building client relationships, company team building, and customer appreciation events. They are geared to accommodate both golfers and non-golfers. Choose Heartland for corporate golf events.